No sorry. Someone abused it, BT Wholesale noticed and I had no access at all to any of their data, so it was down for a while to all. I had to jump through hoops, recode it and promise it wouldn't happen again by limiting the number of requests. Thanks thats appreciated, is there any other way i can find this sort of detailed info in larger amounts at all? Is the SamKnows checker limited? You used to be able scrape the BT Wholesale checker but they wised up to that a few years ago and now black list the IP after to many requests. I don't know how many requests or how long the black list lasts. You used to be able scrape the BT Wholesale checker but they wised up to that a few years ago and now black list the IP after to many requests. They didn't used to care about any of the checkers, until it became evident that a few people were scraping. They've since tightened up on a lot of things and made it so that you can't even now use an iframe around some of their pages. All of those who do have access to their database (including ISPs) were told about 18/24m ago that they have to limit [external] requests and be alert to signs of abuse. I know for a fact that BTw do monitor the amount of requests coming from various sources including any API requests. I have a company that can provide product solutions and want to make a list of areas to go for and samknows was good but the maps dont work , i stumbled upon this site but need to make searches per day for each area we are looking at. Sounds like this will end up in cold calling, hope they check TPS prior to doing any. Can understand why BT Wholesale would be upset. Understand, however opinions here can be coloured by previous things which have been seen. Ah ok sorry , thanks for letting me know reasons why. im happy just to find the towns with slowest internet to assist, most of what is by doing research myself online and the checker facility just cements the research. Your trying to use a competitors database, that they deliberately don't want people harvesting data from, to use as an aid to targeting customers. Surely you could see why some would question your motives. It's exactly why I asked you why you wanted to do this, as I suspected it might be for this reason. If the OP just needs an idea of speeds for an area they could look here. 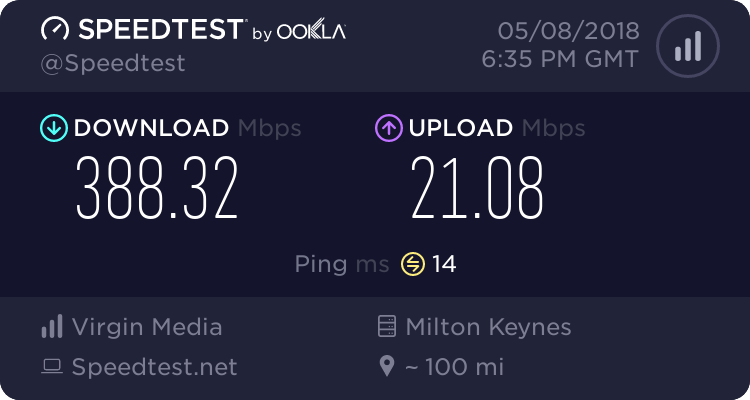 It clearly relies on speed tests that people have carried, but could be a good indication of areas with slow broadband.